Kamrun Nesa, Fordham ‘16, has only been out of school a short time, and she’s already making her mark on the publishing world. Kamrun is an associate publicist at Grand Central Publishing and a freelance writer whose work has appeared in USA Today and The Washington Post. Kamrun took several journalism classes––taught by Elizabeth Stone––for Fordham’s award-winning student newspaper The Observer, which inspired her to take up freelance writing during college. 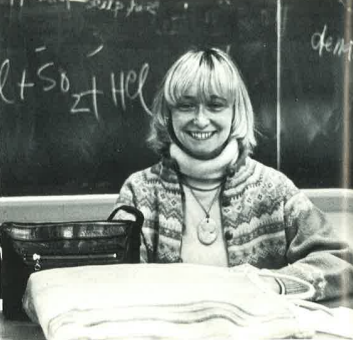 “I also took Mary Bly's Publishing: Theory and Practice class my junior, which introduced me to the many facets of publishing and also inspired me to pursue creative writing and craft my own stories. I received my first internship through that class, which put me on a trajectory that culminated in a full-time publicity job at a book publishing house after college. Click here see Kamrun’s most recent article in the Washington Post: "Misconceptions about arranged marriage abound. Romance authors are here to help." Congratulations to Kamrun! We wish her continued success. Congratulations to Postdoctoral Teaching Fellow and English PhD alum Caroline Hagood, whose book Ways of Looking at a Woman will be released March 1st by Hanging Loose Press, the same publishing house that launched such notable authors as Maggie Nelson and Sherman Alexie. 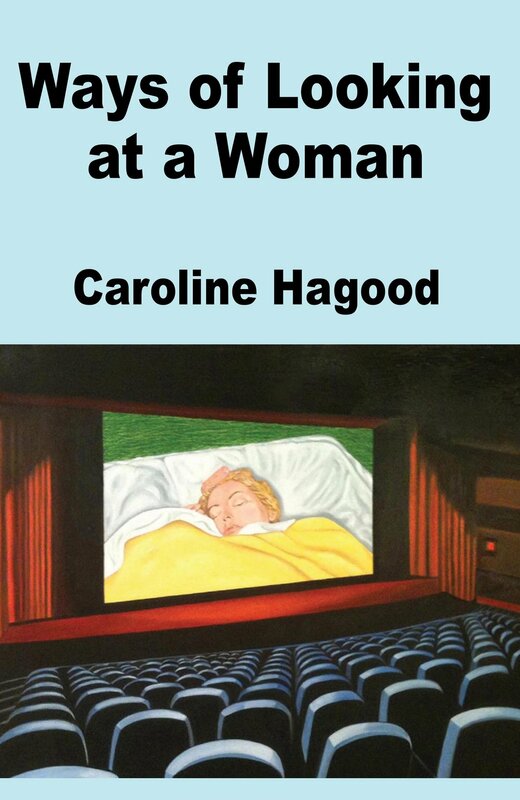 In Ways of Looking at a Woman, a book-length essay that interweaves memoir with film and literary history, Hagood assumes the role of detective to ask, what is a “woman,” “mother,” and “writer”? By turns smart, funny, and poignant, Ways of Looking at a Woman is a profound meditation on the many mysterious layers that make up both a book and a person. 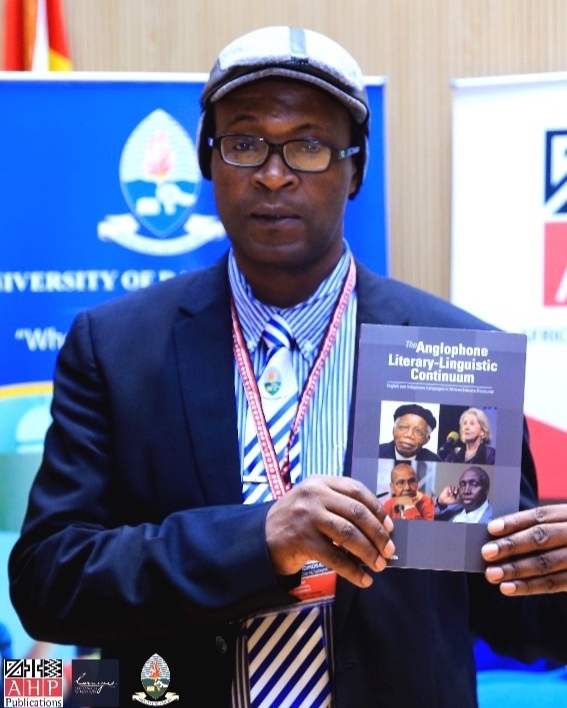 Congratulations to Fordham Ph.D. recipient Dr. Michael Andindilile, now the Dean of the School of Journalism and Mass Communication at the University of Dar es Salaam, who’s recent book launch received national recognition on iTV Tanzania. 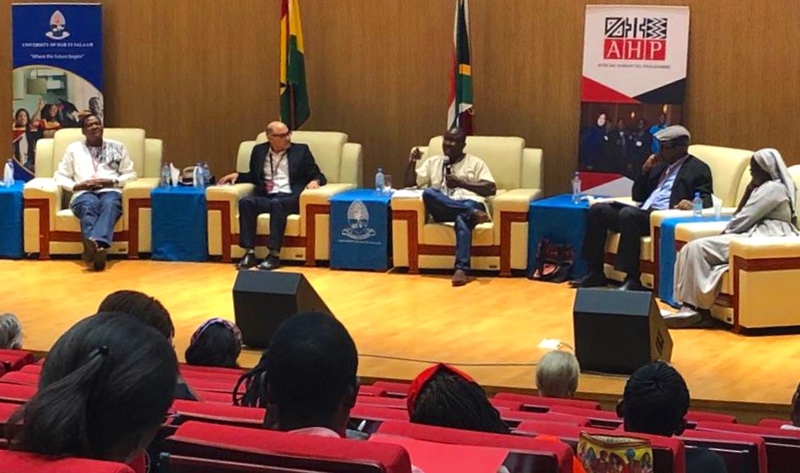 After the panel discussion and celebration at the University of Dar es Salaam, Dr. Andindilile expressed his joy and gratitude for the entire publishing process. With the publication of the book, Dr. Andindilile looks to the future and the positive impact he can have on young writers in Tanzania. “I know I can inspire others, and since my book came out, so many people are coming to see me, and I’ve been encouraging them. Also, I know I can mentor some of them, so they can also end up publishing." Congratulations, once again, to Dr. Andindilile on this remarkable accomplishment. Recent PhD graduate Kate Nash inspires students every day in Boston University’s General Studies Program. Collaborating with computer engineering and psychology undergraduate students on her various projects, Dr. Nash is leading the next generation of thinkers and researchers, while also gleaning new perspectives from students of a wide variety of disciplines. 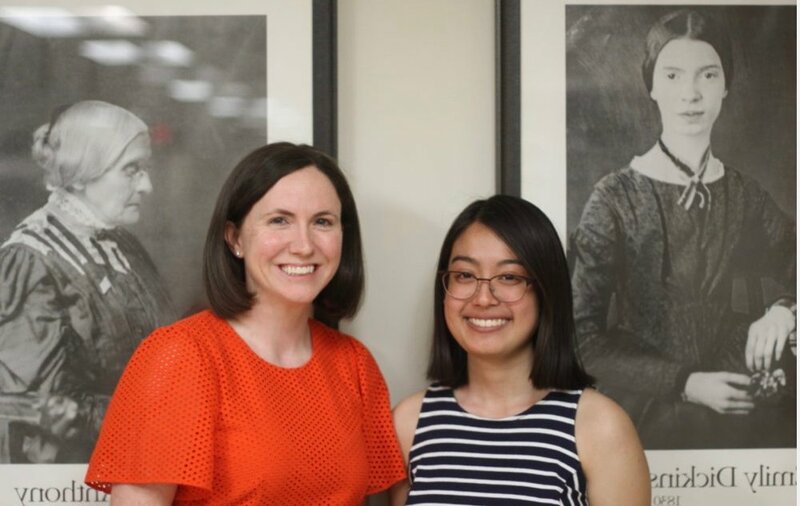 Nash is currently working on a critical analysis of Muriel Spark’s 1963 novel, The Girls of Slender Means, and she’s employed the help of Psychology/English major Coleen Ilano, to collect research materials for the project. Kate Nash with Coleen Ilano. Naima Coster (GSAS), acclaimed author of Halsey Street, isn’t interested in asking the easy questions. 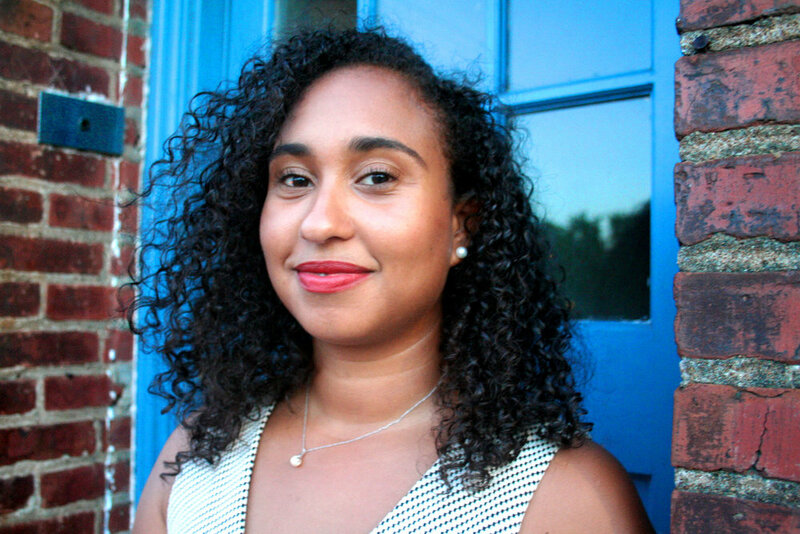 Her debut novel tackles gentrification, explores psychological complexity, and invites self-interrogation on the part of its readers. Halsey Street has brought Coster critical recognition, including a Kirkus Prize nomination and a place on the must-read lists of publications across the country. This week the Creative Writing program spoke with Coster about the thought process underlying the novel and her experience of writing about flawed humans in a very real world. Q: Your debut novel Halsey Street has been lauded for its skilled depiction of family, loss, and renewal. What motivated you to tackle the messiness of life and relationships and in the way that you did? One of the reasons I love fiction is that it’s one of the only avenues we have for slipping into the consciousness of another person. We’re stuck inside our own heads, our perceptions, memories, and reactions the rest of the time. But while this is one of the pleasures of fiction, it’s also uncomfortable. It can be troubling, it can hurt, to inhabit someone’s mind, to become so well acquainted with the inner life of another. I knew that if I was going to be writing so close to my characters, the book would become difficult, charged with all the emotions and wounds and aspirations the characters are carrying. But there’s no other way I’m interested in writing. And the difficulty, the discomfort of being so close to these complicated characters, is fitting for the novel. Halsey Street is in part about unbearable emotions and the ways we attempt to cope. In the book, characters lose themselves in music, turn to gin, run, make art, garden, seek intimacy. 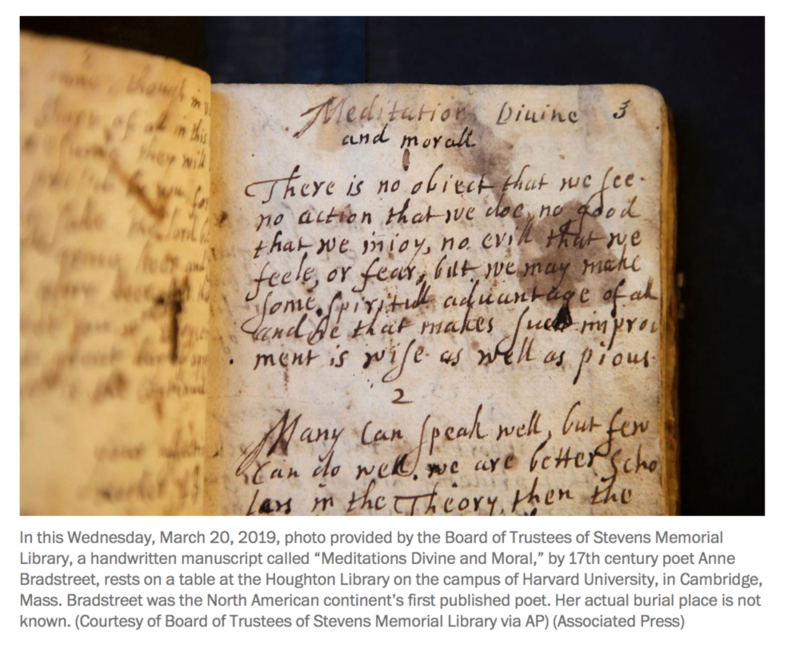 Sometimes we’re not sure how to hold the messier facts of our lives, our difficult emotions, but fiction can hold it for us, and so can other literary forms. Q: You alternate between the perspectives of Penelope and Mirella in Halsey Street. What was the experience of alternating consciousnesses like in writing the book, particularly for two characters in such different physical and mental states? What did you hope to reveal through these particular voices? At the level of the prose, the two perspectives in the book sound quite a lot like one another. The perspectives differ chiefly in terms of the quality of mind of each of the characters. There were periods of time when I wrote solely in Penelope’s point of view for long stretches; there were times when I was looking only at the sections of the book that belonged to Mirella. The trickier moments were the ones where their points of view collide later in the book. I hoped that these voices would complicate and illuminate one another to tell a moving, fraught, sticky story of a broken family. Neither of their versions is quite right, but they’re both telling the truth from where they’re standing. And this truth telling is essential if the women are ever going to find their way back to one another. Q: In your work you address gentrification in Brooklyn, an issue that has gained much attention and media coverage in recent years. How have your themes changed with and been influenced by the world around you? I knew there was no way I could write a book that would tackle every potential facet of gentrification--it’s too huge. I also knew the pressure to represent the issue could squeeze out any nuance or depth from the book. Gentrification is the context pressing in on the lives of the characters, but the story told here is actually quite small: about one neighborhood record store that closes, about two families: one old and one new. I let the lives of the characters shape the fiction, although I was always collecting details from news stories, anecdotes from friends, my own time in New York City. Anytime I thought I’d perhaps gone too far in my depiction of gentrification, the real world corroborated my fiction. I wanted to make the book bold but not didactic; I wanted to raise questions for the reader, unsettle any easy ideas about gentrification and its impact. Q: Halsey Street has been able to reach a wide and diverse audience as it has been on the must-read lists of publications including People, Bustle, and Kirkus Reviews. What kind of effect do you hope your work has on readers, and what would you like them to take away from the novel? I hope that my readers will be able to locate themselves in my work. I think that’s a bit different than relating to the characters; rather, it’s about being able to see more clearly how you’re operating in the world, in your neighborhood, in your family, with respect to yourself, after spending time in the fiction. I’ve heard from fathers who told me they wanted to spend more time being emotionally attentive to their daughters after reading Halsey Street because they saw themselves playing the role of material provider above all in their families; I’ve heard from young transplants to Brooklyn that they’re reevaluating how they regard their neighborhood after reading about the newcomers to Bed-Stuy in the book. The richest books, to me, are the ones that in some way leave me thinking about myself, the people around me, and how I want to live. Fiction isn’t self-help, but it can lead to self-interrogation and self-reflection, which, I believe, are invaluable. Q: You said in another interview that you probably wouldn't write about gentrification again. Going forward, what kind of themes, questions, and mediums are you looking to explore through your writing, and has the experience of writing your debut novel influenced how you address these topics? I’m certain that I’ll continue to be interested in family and memory, race and belonging, place and how it forms us, and the interior lives of women. But even with these thematic commitments, anything is possible. I have two novels that I’m working on now. One is a story of how the integration of a local public high school in contemporary North Carolina brings together two different families and intertwines their lives and fates forever. The other is a work of speculative fiction, and it’s about a young woman’s quest to save her family. While she is on this journey, she’s learning how to be tender at the same time that the world requires that she be hard. In both of these works, I’m paying careful attention to the physical world, to the social forces that shape my characters’ lives, and to their interiors, their relationships. Halsey Street is available for purchase on Amazon and Barnes & Noble.